Jason Derulo claims 'racial discrimination' after American Airlines calls a crazy number of cops on him. Pop singer Jason Derulo is calling out American Airlines for "racial discrimination" after they sent 15 officers to work him over for a baggage dispute in at Miami International Airport. "If I was not who I was, if I wasn't Jason Derulo, I wouldn't be here right now I'd be in f--king cuffs." As the "Want To Want Me" singer explains in a video on he and eight people in his entourage wanted to check 19 bags on their flight to Los Angelels. However, they had arrived too late, so they left one person to take the next flight and check all the bags himself. Derulo's plane was taxiing away when he gets a phone call: they want to charge him $6,000 to check the bags left behind. 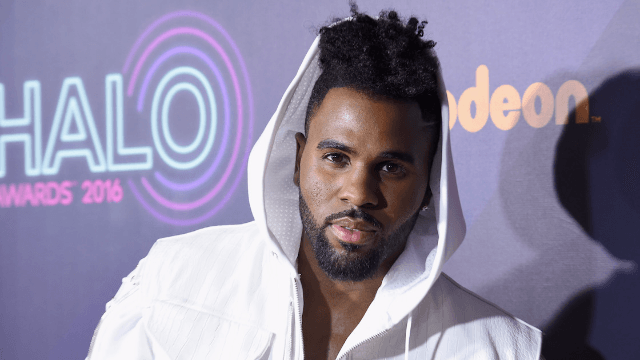 As an elite "concierge key" member who has spent "millions" with American Airlines, Derulo believes he was entitled to check an unlimited number of bags. Derulo demands to be taken back to the gate, so the pilot cusses him out, saying "I want these guys off the f**king plane right now." By the time Derulo gets off there are 15 cops piled up waiting for him, and Derulo is in shock over how he's been treated. "It's 100 percent racial," Derulo says in the video, "because the initial thought in people's minds is 'these hoodlums are causing problems.'" A police report obtained by Local 10 News states that an American Airlines employee approached an officer after the group arrived at 4:15 p.m. for a 5 p.m. flight and said that they "all smelled of marijuana and were starting to get aggressive."